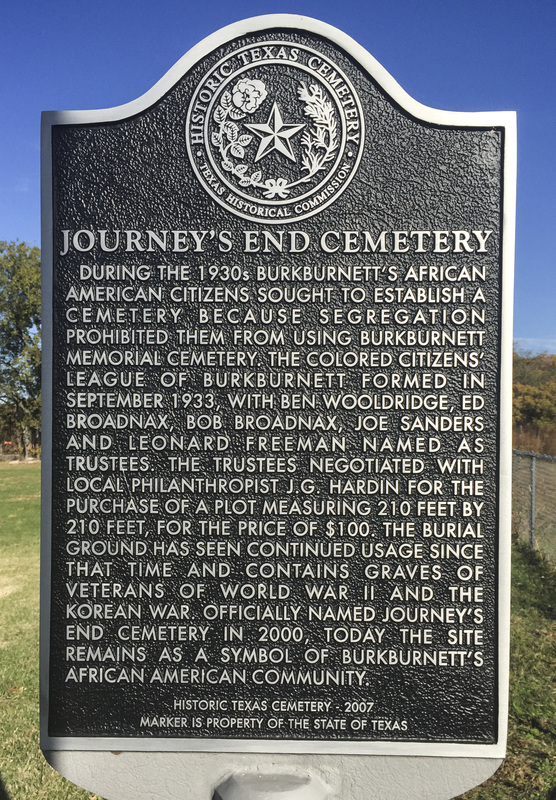 During the 1930s Burkburnett's African American citizens sought to establish a cemetery because segregation prohibited them from using Burkburnett Memorial Cemetery. The Colored Citizens' League of Burkburnett formed in September 1933, when Ben Wooldridge, Ed Broadnax, Bob Broadnax, Joe Sanders and Leonard Freeman named as trustees. The trustees negotiated with local philanthropist J. G. Hardin for the purchase of a plot measuring 210 feet by 210 feet, for the price of $100. The burial ground has seen continued usage since that time and contains graves of veterans of World War II and the Korean War. 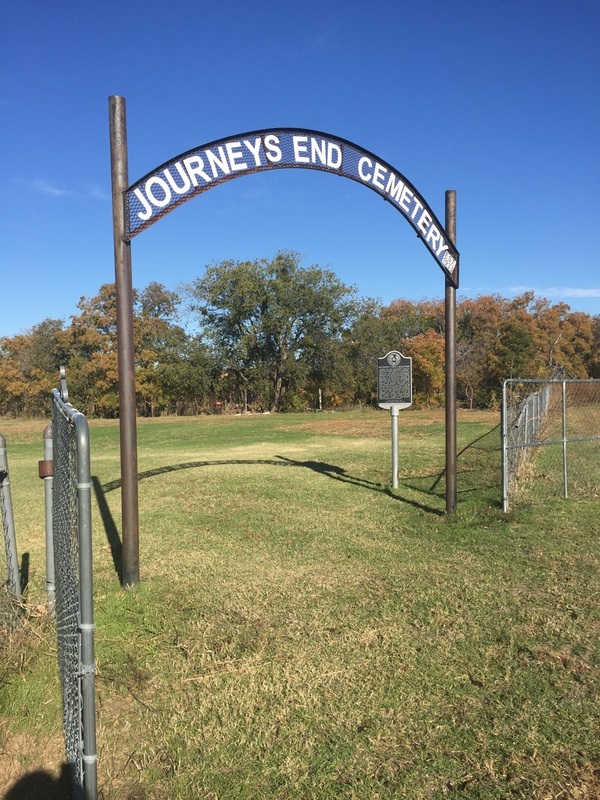 Officially named Journey's End Cemetery in 2000, today the site remains as a symbol of Burkburnett's African American Community. Marker is property of the State of Texas. 612 Floyd Street, Burkburnett, Texas 76354. GPS 34-degrees 06' 4.8" -98-degrees 34' 8.3". 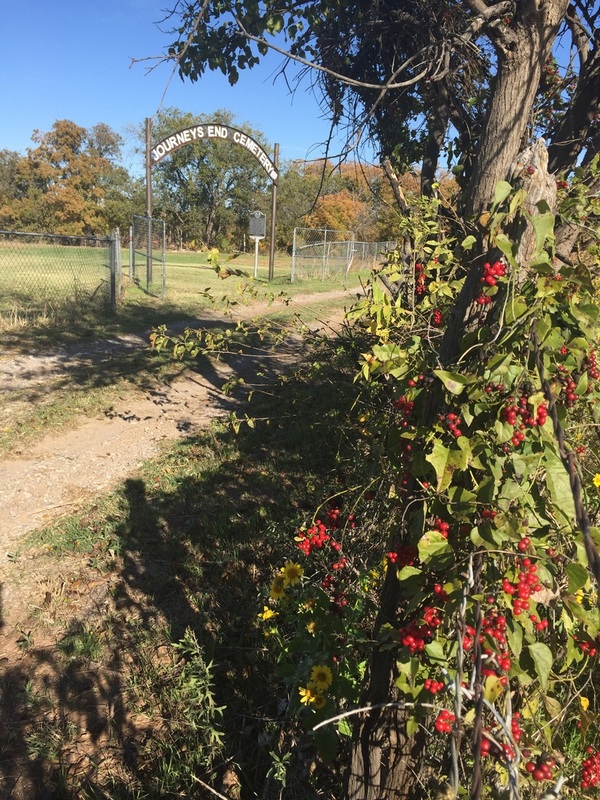 The gate of the cemetery is located approximately 700 feet north of Providence Church.